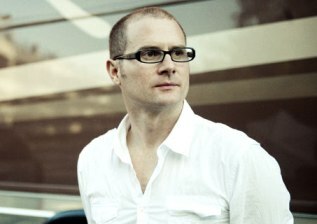 Campolo: The future is bright – is this "Dominionism"? Today we see the final humiliation of Harold Camping, as his prediction of the end of the world today fails to come true – at least it will have failed if you are still reading this tomorrow! Camping may be unlike most evangelicals in offering a precise date for the end of the world. But he is in line with many of them in preaching that the end if nigh, that Jesus will come to rescue his people and destroy an evil world. For many Evangelical Christians, the normative attitude is to view world history with despair. Most have been led to believe that forces of darkness are increasingly raising havoc in the world as we move toward the end of history. Many have grown up believing that evil will become more and more pronounced in the last days, and the demonic forces of darkness more and more evident in the affairs of our lives. Jesus is coming back and, as it says in the first chapter of Philippians, the good work that He began in us, He will complete on the day of His coming. The future is bright because we have the promise of Jesus that His Kingdom will grow until the end, and at the end all that is evil and perverse will be destroyed. His Kingdom will come on earth as it is in Heaven. … Praise God for what the Church and its missionaries have accomplished in His name and through His power. It is good to see some Christian leaders clearly standing against the unbiblical teaching, dating back only to the 19th century, that the world is going to get worse and worse, and that believers will be snatched away from it before the return of Jesus. I agree with Bevere that these groups share a hermeneutic, but, as I explained in my review of the book, I am far from convinced that it is as fundamentally faulty as he claims. This alleged fault is linked to what Scot McKnight has rightly pointed out today, that there is a danger among the religious left of confusing social justice with the work of the kingdom of God. I could equally argue that among the religious right there is a danger of confusing promotion of family values in society with the work of the kingdom of God. But Christians are surely called, as Jeremiah appealed to the exiles in Babylon (Jeremiah 29:7), to seek the peace and prosperity of the place where they are living, in exile from their real home in the kingdom of God. This is what provides a proper theological basis for political action by Christians on the left and on the right. and he will reign for ever and ever. And this implies that our work for the good of this world will become transformed into work for the kingdom of God. Indeed the good work that Jesus began in and through us he will complete on the day of his coming. Yesterday I posted here about Jim West, Miley Cyrus and the Wrath of God. At the end of my post I suggested that Romans 1:18 and following does not imply a clear condemnation of gay marriage, especially if the wrath of God is understood in the way that Jim West suggested. In a comment on that post Gordon challenged me to explain the exegesis of that passage on which I based my remarks. As I stated in my comment in reply, that exegesis is “a tentative suggestion rather than a firm conclusion”. It is also offered from Jim’s viewpoint and so presupposing his view of the wrath of God. But I will offer here some further explanation. the wrath of God is God allowing people to reap what they sow. In short, the worst thing that can happen to you is, well, you. That implies that in Romans 1:18 (all quotations here from NIV 2011) “The wrath of God is being revealed from heaven” means not so much “God is exercising his wrath” as “God is showing people that he is allowing them to reap what they sow”. The following preposition epi is usually translated “against” but more literally means “on to” and can probably here be understood as “concerning”. The wrath of God consists in God’s not stopping or rescuing people in their wrongdoing. Note that in this verse “them” refers back to the gender neutral anthropoi “people” of verse 18, men and women, and so verse 24 is not about homosexual practice but more generally about sexual immorality. In verses 26 and 27 homosexual practices are introduced, but only as examples of a broader phenomenon. The last part of verse 27, “[they] received in themselves the due penalty for their error”, very likely refers not just to the gay men of the first part of the verse but to the “them” of the first part of verse 26, in other words to all ungodly people as in verses 18 and 28. So what does this have to say about gay marriage? Miley Cyrus has expressed her support for this with a tweet that “All LOVE is equal” and a finger tattoo. Does the Bible support this idea? Perhaps it is not quite as negative as it might at first seem. We read in verse 26 that it is God who gave people over to “shameful lusts” including homosexual ones. This suggests that homosexual orientation comes from God, although more as a curse than as a blessing. So if God brings a gay or lesbian couple together, let them be together. To quote Jesus’ words, “what God has joined together, let no one separate” (Mark 10:9). In case of any misunderstanding, just because last week I awarded myself one of Jim West’s Dilly awards, that doesn’t mean I agree with his latest Dilly winner, Miley Cyrus. That is, the wrath of God is God allowing people to reap what they sow. In short, the worst thing that can happen to you is, well, you. I’m not sure that is quite the whole story, but it is certainly a large part of it. and reads it in the light of this view of the wrath of God, and also reads the preceding context starting at verse 18, she just might find that this passage doesn’t condemn gay marriage as clearly as Jim seems to assume it does. I wonder, will the eclipse of Murdoch be the big break for Arianna, on only the second day of her UK operation? 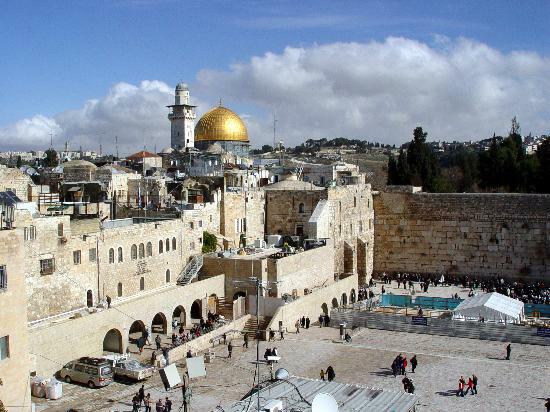 Restoring the Kingdom to Israel: when and where? In my previous post Restoring the Kingdom to Israel I agreed with George Athas, at least in part, that the kingdom of God was restored to Israel through believing Israelites, but argued that the Apostle Paul also envisaged a future time when “all Israel will be saved” (Romans 11:26, NIV), referring not just to those already believers but also to the “others” who had been hardened. I would suggest that this is when the kingdom will be fully restored to Israel. But I left open two important questions: when will this happen, and will it do so in any particular geographical location? Now I am certainly not going to make Harold Camping‘s mistake and name any definite day or even year when Israel will be saved. After all, in just this context Jesus said “It is not for you to know the times or dates the Father has set by his own authority” (Acts 1:7, NIV). But I think we can get some idea of the timing by comparing Bible passages. Paul writes that “all Israel will be saved” only after “the full number of the Gentiles has come in” (Romans 11:25,26, NIV). Now some, “partial preterists” like my friend Martin Trench as well as “full preterists”, argue that almost all biblical prophecy was fulfilled before or at the fall of Jerusalem in A.D. 70. But I don’t think I could accept that this prophecy about Israel was fulfilled so early, unless it is understood as only about the believing Jews which, as I have argued, contradicts Paul’s clear line of argument. Jesus also spoke of “the times of the Gentiles” (Luke 21:24). This seems to refer to the period after the destruction of Jerusalem but before the return of Jesus. Many have argued that the word “until” in this verse implies that Jerusalem will be restored at the end of these times, but I understand that the Greek here is inconclusive. Nevertheless it seems reasonable to identify these “times of the Gentiles” with Paul’s period until “the full number of the Gentiles has come in”, and this would imply that only at the end of this period “all Israel will be saved”. So far, at any time in history, only a small proportion of the Jewish people have ever believed in Jesus. So we have to see the fulfilment of this prophecy as at some time in the future. As for how far in the future, we have no way to tell. But we can get on with evangelising and praying for the Jews, in appropriate ways which do not expect them to abandon their culture but only to adjust their faith. But does any of this relate to any specific place? In the New Testament there seems to be only that one ambiguous hint that the literal Jerusalem will be restored – and this could refer more to the heavenly Jerusalem (Hebrews 12:22, Revelation 21:10). Nevertheless it is hardly surprising that some people quickly took the establishment of the state of Israel in 1948, and its capture of the whole of Jerusalem in 1967, as the fulfilment of this prophecy. In my previous post I agreed with George Athas in rejecting the identification of the state of Israel with the restored kingdom. But that does not imply that the Jewish state is a mere accident of history. God “made all the nations … and he marked out their appointed times in history and the boundaries of their lands” (Acts 17:26, NIV), and that includes Israel. This is not a justification for aggression by Israel towards its neighbours, or for treating non-Israelites within its borders in ways which contravene God’s law (Deuteronomy 10:18-19 – a lesson also for conservative Americans). Indeed it is in no way an endorsement of the policies of the state. Nevertheless the fact is that under God’s sovereignty the majority of the land of Israel is under Jewish control. And this is in accordance with God’s solemn oath to give this land to the descendants of Israel for ever, “for a thousand generations” (Psalm 105:8-11). If, as some argue, God annulled this promise in A.D. 70, less than a hundred generations after Abraham, then how can he be trusted to keep any of his promises? As one who believes that the Bible, the Old Testament as well as the New, is the authoritative word of God, I have to accept that he fulfils the promises he made under both covenants. Just as Ishmael was not God’s chosen one but God was still faithful to his promises to him (Genesis 16:10-12), so also the Israelites may no longer be God’s chosen people but God will still fulfil his promises to them. This does not necessarily imply that the land of Israel has any further part in what is not the main strand of salvation history, the story of Jesus and the church. But neither does it imply that that land will be out of the picture. When Jesus returns, will he do so to any specific geographic location? If so, then surely it will be to Jerusalem. And how wonderful it will be when he is welcomed there by a believing Jewish nation, reconciled through the Messiah with believing Palestinians and living in peace in the Promised Land. George Athas has posted an interesting series asking what the apostles meant by “restore the kingdom to Israel”, and more to the point what Jesus meant in his answer to their question. In part 1 he skilfully demolishes the argument that the modern state of Israel is this restoration of the kingdom. In part 2 he is equally deft in dismissing the “replacement theology” by which the church has entirely replaced Israel. Then in part 3 he puts forward a middle way in his own understanding of what the book of Acts, and the New Testament more broadly, teaches on this matter. in the first eight chapters of Acts, we witness the reunification of Israel under its Davidic king. What the prophets of old had looked forward to now becomes reality as Jews and Samaritans both put their faith in Jesus as ruler, saviour, and Messiah, for the forgiveness of their sins (Acts 5.31, 42). Here, then, is the beginning of Israel’s restoration. … Only once the restoration of Israel under its rightful king, Jesus, is truly underway do we then observe the gospel going out to the Gentiles. Paul views only those in Israel who have believed (or will believe) in Jesus as members of the true Israel. But this doesn’t really make sense of Romans 11. In verse 7 Paul distinguishes “the elect” within Israel from “the others” who are “hardened”. From verses 8 to 24 he talks about these “others”, and contrasts them with Gentile believers. In verses 25 and 26 he refers again to the “others” when he proclaims the end of the “hardening in part”, at which point “all Israel will be saved”. Clearly the “all” here is meant to include the “others”, as well as “the elect” who have been saved all along. Verse 23 implies that at this time the “others” will believe in Jesus, and it is only on this basis that they will be grafted back into the olive tree. So it is true that only those in Israel who believe in Jesus are members of the true Israel. But this chapter makes it clear that God has not simply rejected those of Israelite descent who do not believe. we should not be expecting a mass conversion of Jews to Christianity marking the last days of history as we know it. Paul was not envisioning such a thing in Romans 11.26. … Paul was not predicting a sudden eschatological conversion of Jews against all previous expectations, but was rather advocating some good old evangelism. As far as the gospel is concerned, they are enemies for your sake; but as far as election is concerned, they are loved on account of the patriarchs, 29 for God’s gifts and his call are irrevocable. Yes, God’s call to the physical descendants of Jacob is irrevocable. It has been transcended by the wider Christian call to all nations. But that ethnic group has not been rejected or replaced. And in the end God’s promises to his original chosen people will be fulfilled. Thanks to Tim Bulkeley for the links to George Athas’ posts. UPDATE: I have addressed some questions left unanswered here in a follow-up post Restoring the Kingdom to Israel: when and where? 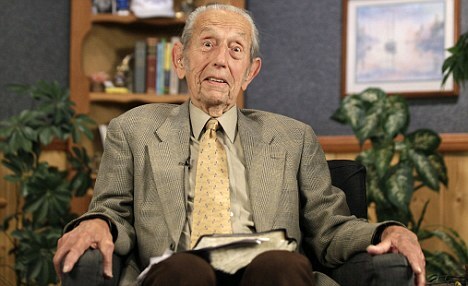 Harold Camping, the infamous preacher of the Rapture, has suffered a stroke which has affected his speech, according to the Christian Post (thanks to Joel for the link) and the Daily Mail. It seems that he has not exactly been struck dumb (UK) or mute (US), just that his speech “appears to be slurred”. So this may not mean a complete and immediate end to his radio ministry. But perhaps it should serve as a warning to him that at 89 it is time for him to take things easy, if he is to survive even until his predicted date for the end of the world, 21st October. Did God have a hand in this? Did he strike Camping dumb, like Zechariah father of John the Baptist (Luke 1:20)? Well, it is clearly part of the divine design that the human body is frail and prone to sickness after nearly 90 years. Camping has very likely been under more stress in the last few weeks than is good for him, especially at his age. It would be wrong to suggest that this was a direct divine punishment for Camping’s false preaching, arrogant claims to know what God has not revealed, and more general heresy. But maybe this stroke will make him reflect more deeply on his life and on who is in control of it. I pray for a quick recovery for Harold Camping. I pray also for a genuine repentance and a return to the true gospel message with which he started. American Christianity will always be infatuated by and prone to predictions about the coming end. The recent media preoccupation with the doomsday, rapture theology of a well-meaning but deeply mistaken radio broadcaster is just the latest example. Christian leaders have a responsibility to remind people that we cannot know the “day or hour” and that it is counter-productive to speculate about it. They should also emphasize, however, that Christians should not seek to escape the world, but to embrace and engage it instead. Thanks to Eddie Arthur for the link – also for linking to one of my other posts.